With Plenty Of Space For 3 Rifles And Multiple Hand-Guns This One Bag Will Handle A small Arsenal Of Range Or Hunting Gear. 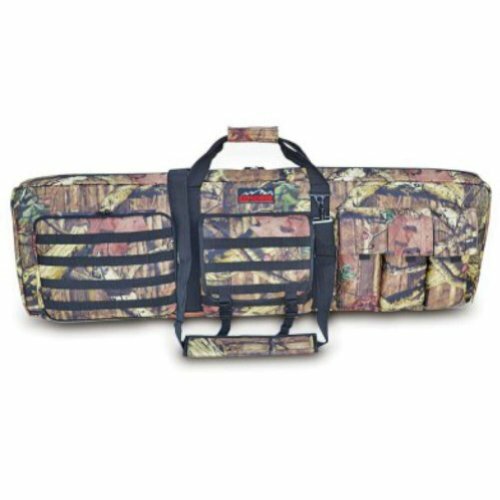 Designed With Extreme Use In Mind, The Heavily Padded Case W/Reinforced Wrap-Around Edge Guard Will Protect Finest Gear And Stand Up To The Harshest Abuse. Plus, W/The Added Pockets And Mag. Pouches, You will Be Able To Carry Enough Ammo And Spare Gear To Take On Any Emergency! Size: 45" Length X 13"
If you have any questions about this product by Explorer, contact us by completing and submitting the form below. If you are looking for a specif part number, please include it with your message.